IMPORTANT NOTE: If you’ve arrived here after clicking on the link in the introductory email for the 18th May newsletter, you’re out of luck. You’re out of luck because I’m stupid. I should have linked to the correct newsletter for 18th May here. And if you arrived here via any other route, please ignore what you have just read. I’m really quite a bright guy and I never make mistakes! We reported the damage, they did nothing. We reported it again, again they did nothing. Several of our moorers also phoned the Trust to highlight the worsening condition of the entrance wall to lock ten on the Napton flight. Once more, they did nothing. At the beginning of the week the inevitable happened. The lock wall collapsed, closing the flight and trapping one of the boats we look after for the Royal Navy south of the stoppage. All of our boats were scheduled to go out at the weekend, including the four RN narrowboats. We had two contingency plans in place in case the flight didn’t open in time for the usual Sunday change of crews. We couldn’t swap the new crew onto another boat because all the boats were all fully booked so we planned to either (A) get the stuck boat as close to base as possible then send staff out to it to prepare it on its canal-side mooring, and then tell the new crew that they had no other route option other than travel south down the south Oxford towards the Thames or (B) ask one of the staff to bring the boat back to base via the only other route. 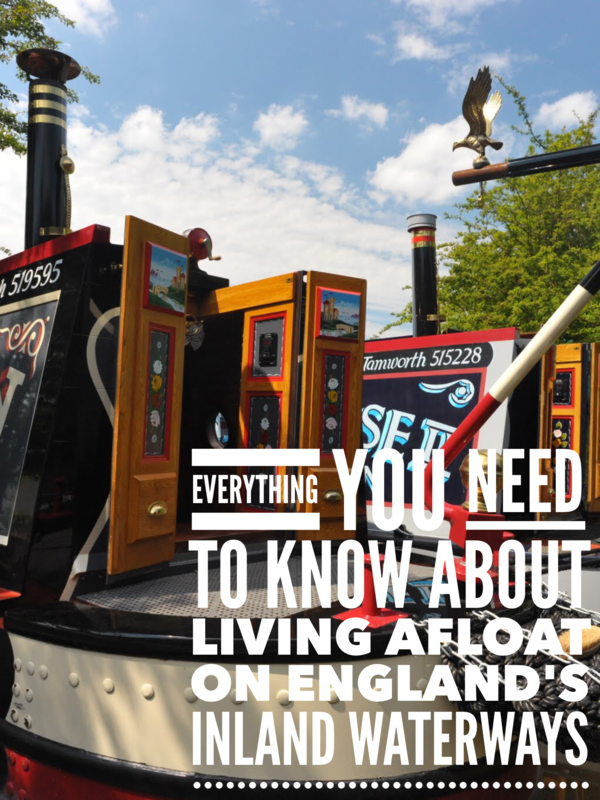 The alternative way back was to go back down the south Oxford, travel south down the Thames to London, then turn north back up the Grand Union before joining the Oxford canal again at Braunston and the final two hours to Calcutt. There was much hand raising for this trip. Fortunately for Calcutt but sadly for one or two daydreaming members of staff, myself included, the lock was repaired and the flight reopened by Friday. It’s only a temporary repair and the contractors can’t promise how long the wall will stay in place for, but at least the navigation is open again. I was off work on Thursday and spent all day tapping away at my keyboard while I watched vertical rain rods plunging deep into the still water outside my window. The day was perfect for pottering inside the boat so I typed for a while, replaced the Ecofan blade which fell off last week, typed for a while, experimented with different positions on the stove to get the fan working more efficiently (the Torgem stove has quite a small footprint. Ideally, the fan should stand at the back of the stove facing towards the front so it can draw cold air from behind and push it past the warm air rising from the stove top but the Ecofan won’t fit there on my stove without the blades hitting the flu), typed for a while, experimented with different stove fuels and rates of burn to reach the optimum stove efficiency (as I suspected, if I allow the stove to burn at the manufacturer’s recommended temperature, the boat is likely to melt) and programmed the alarms on my Smartgauge battery monitor and then, or course, typed for a while. I am absolutely delighted with the battery monitor. It’s already alerted me to a problem with my starter battery which, in turn, highlighted an issue with my alternator which was doing nothing other than driving me slowly mad with its annoying squeal when the engine’s running. It certainly wasn’t charging the batteries. The monitor has also removed the mystery from the battery bank’s state of charge. The alarm is now triggered if the capacity drops below 75%. It’s a visual alarm which flashes when triggered and which continues flashing until the capacity increases to 95%. Now that I have the Smartgauge fitted I realise what a hit and miss affair my charging regime was before, and how lucky I have been not to experience any problems as a result of not knowing the capacity of either the domestic bank or the single starter battery at any time. To test the battery capacity alarm, I turned off the mains charger while I was programming the monitor. Thanks to my solar panels, even with a mainly clouding sky, two days later the capacity had only dropped to 88%. Four days later, this morning, it had only dropped a little further to 82%. Apart from an incident earlier in the week (more on that below) my working week has been all about battling growing grass between showers. The last seven days hasn’t been as varied as most weeks but still immensely enjoyable. On Friday we had to do some “normal people” stuff. Sally has a house with a lovely garden. A garden which would be very pleasant to sit in while basking in the spring sunshine if it wasn’t for the monstrous, light blocking Leylandii bordering the bottom of the garden in the house behind her. Before I met Sally, she tried but failed to negotiate lowering the hedge to an acceptable height. The retired and rather belligerent burly hedge owner was a little more flexible when she visited his property with someone equally as belligerent. He wouldn’t do the decent thing and cut his own hedge, but he did agree to us cutting the hedge for him on his behalf. The cutting took three and a half hours with my trusty chainsaw and now there’s a mountain of cuttings piled on the lawn waiting to be removed. Not once did the owner of the hedge come out to help, offer encouragement or otherwise acknowledge in any way that we saving him the cost of hiring a tree surgeon to do a job he promised to complete a year earlier. When I mentioned to Sally her neighbour’s reluctance to help with the hedge cutting, she suggested a novel way of disposing of the branches. Because I thought all of the branches wouldn’t fit and because her idea would cause Mr. Grumpy some difficulty when sitting down, I will borrow the truck I use for work to cart them away instead. Saturday, as is normal during the fleet hire season, was wharf day for me. We had eight boat scheduled to go out in the afternoon. They all needed checking to make sure they were ready and one needed a complete engine change. By 1pm the old engine had been removed, the new one fitted and all the boats were bobbing about on the wharf, washed and ready to go. The boats were bobbing about because of the near gale force wind howling across the water. You can always count on an interesting afternoon when you mix a strong wind, a flat bottomed boat and a novice boat crew. As part of the instruction, we take the crews up through Calcutt Top Lock and a quarter of a mile up the canal towards the junction before we step off and leave them to their own devices. The route passes the forty acre Napton reservoir. The wind often howls across the reservoir unimpeded before playing havoc with any passing boats. On a day like Saturday, many full time boaters would simply moor up and wait for the wind to die down. Hirers have a short period, usually a week, to achieve their objectives so they don’t like to waste a minute. On particularly windy days like Saturday, hirers are often moving while boat owners are not. We managed to get all of the boats past the reservoir and then past a row of moored boats close to the junction, travelling past the moored boats a little faster than normal to maintain some steerage in the wind. We have normally left the boats by the time they reach the junction where they have to slow down to make a right angled turn. I suspect one or two would have been pushed into the reeds at that stage.I hope they managed to negotiate the junction safely but it’s all part of the boating experience! All of the boats were away by 5pm. At half past five I borrowed the company’s Nissan Cabstar, drove to Sally’s house, loaded the back high with Leylandaii cuttings, roped it down and returned to the marina before offloading the cuttings in our tip area ready for burnings. I’ll need another two trips to clear the garden though. This week I was going to focus on single handed boat handling and continuous cruising as a result of a suggestion from Alan Hayes who, I presume, is planning some single handed continuous cruising in the near future. I’m sorry Alan but you’ll have to wait until next week. The incident I mentioned earlier on prompted me to write about the perils of boating instead. I wrote about narrowboat safety in this article eighteen months ago. This week’s accident has prompted me to to highlight once more just how often a momentary lapse of concentration can spoil weeks or months of boating enjoyment. We had the emergency services here again on Tuesday. Narrowboats may travel so slowly that anyone who is reasonably fit can travel faster by foot along the towpath, but they, and the canals and rivers they use to creep across the country, need to be treated with respect at all times. Our one to one and a half hour instructions with new hirers always include some basic health and safety. That particular part of the instruction has to be judged carefully. I don’t want to spoil the hirers’ holidays by filling them full of dread, but I do want to impress upon them the need to take care. Here’s an example; all of our boats are cruiser stern narrowboats with a gas locker on either side of the tiller at the rear of the boat. The gas locker lids make comfortable and convenient seats. Most hirers are tempted to sit on them at every possible opportunity so I have to point out the danger of doing so in confined spaces. I point out that if the boat drifts back and touches a vertical obstruction such as our wharf wall or a lock gate, the first thing to touch will be the rudder. The boat’s momentum will force the rudder to fold flat and force the tiller to sweep to one side or the other. The tiller will sweep anyone sitting on one of the gas lockers off the boat and into the water, straight into the path of the churning propeller. Of course accidents like this don’t happen very often but once is enough if you happen to be the boater concerned. Something similar happened about five years ago to one of our moorers in his own boat when he reversed it on to our wharf to buy some diesel. The unpleasant result of the accident was a severed femoral artery which one of our wharf staff had to pinch together to stem the huge blood loss until the air ambulance arrived. I understand that the boater took over a year to recover. I’ve heard another often repeated story – although I can’t find a definitive account – of someone being pitched off the boat in a similar fashion in a lock. The boat was in reverse, which caused it to hit the rear gate with considerable force. When the helmsman was catapulted into the lock over the back of the boat, he slipped between the boat and the gate after the boat bounced away from the gate after the impact then the boat, still in reverse and with no crew on board, again reversed into the gate and stayed pinned there. Unfortunately the boater was trapped under the boat. Onlookers failed to move the boat and reach him before he drowned. There have been two accidents on the canal at Calcutt in the last two years. Last year the owner of an old and dilapidated GRP cruiser slipped from the lock sidethen fell onto his boat in the empty lock beneath. Calcutt wharf staff saw the accident but the guy, still looking dazed from either the fall or the suspiciously long and fat roll up cigarette he was smoking, indicated that he was OK and carried on down through the lock flight. By the time he reached the bottom lock he told us he was suffering from severe chest pains. We alerted the emergency services. Because of the nature of the injury they dispatched a helicopter and a fast response car. Both arrived within minutes and were followed five minutes later by an ambulance. They came to Calcutt Boats because they could get closer with their vehicles to the injured man than they could by going to Ventnor Farm marina which is on the opposite side of canal. Unfortunately, the towpath, where the man was sitting next to his cruiser, was on the Ventnor side of the canal. Five paramedics and hundreds of thousands of pounds of high tech medical equipment were thwarted by a sluggish ribbon of dirty brown water. If the situation hadn’t been so serious, the solution would have been comical. Rather than waste more time by driving three miles to Ventnor Farm, negotiating the electric entrance gates, then trudging over a long and uneven footpath to where man and boat were waiting, the ambulance crew asked the injured boat owner, who was bent double complaining between gasps about the difficultly he was having breathing, to walk back up the towpath to the head of the lock flight, climb over the lock gate and down the steps to our reception area where the crew could meet him with the ambulance. By the time the ambulance had made its way from the marina entrance to reception the boater was waiting for them. We later learned that he had luckily just bruised his ribs. Tuesday’s accident was less dramatic but the injuries were much more serious. Dave and Sally Tailor had just realised a lifetime’s dream. The previous Wednesday Dave retired. Two days later they picked up the boat they had just purchased, their third in twenty years of enthusiastic boating on the inland waterways. Their plan was to cruise down the Oxford canal, past Napton Junction and down the south Oxford to the Thames. Unfortunately the entrance wall to lock ten on the Napton flight collapsed at the beginning of this week so the flight was closed pending repairs. Neither Dave nor Sally wanted to wait for days, perhaps weeks, before the flight reopened so they decided to change their plans completely and head north west from Napton Junction along the Grand Union towards Birmingham. Their first stop was Calcutt Top Lock. Dave expertly slowed his 62′ boat and pulled alongside the bollards next to the lock. Sally, as she’s done a hundred times before, stepped off the gunnel centre rope in hand to secure the boat before setting the lock. What she doesn’t normally do is forget to look where she’s putting her feet. She tripped over one of the mooring bollards, knocked herself out, broke her cheek bone and fractured her arm. Dave stayed with his wife while a passing dog walker ran to our office to ask us to call an ambulance. Once again, the response to the call was swift. Within fifteen minutes there was a paramedic by her side. By then she was conscious but in considerable pain. The rapid responder made her comfortable while he waited for the ambulance crew. Once the ambulance crew arrived she was carefully lifted onto a stretcher and then onto the boat’s bow. Unlike the boating accident the previous year with the cruiser, this boat had a large and uncluttered bow which could accommodate the stretcher bearing the injured lady and enable Dave to gently transport her to the opposite side of the canal and the waiting ambulance. Dave threw the boat keys to me, shouted instructions about shutting down his vintage Russell Newbery engine, what to do with his lovely new boat, and what to do with the two confused terriers in basket under the dinette table, and disappeared into the back of the ambulance with Sally. I reversed the boat a hundred metres back up the canal towards the junction, moored the boat on the towpath away from the locks, let the two terriers out for a wee before their afternoon’s unexpected solitary confinement, locked the boat and left the boat keys in our office pending Dave’s return. He arrived back at the boat three hours later to collect the dogs and to confirm his wife’s injuries. I didn’t get a chance to talk to him before he left. The boat has gone now. I don’t know whether it’s gone with Sally back on board, or gone to a more convenient mooring closer to wherever she is convalescing. I hope she recovers quickly. Even though her injuries are both serious and painful, they shouldn’t inconvenience her too much on board. A damaged arm is bad enough but injured legs make life on board very interesting indeed. A fellow moorer, Anthony, lived on board for much of the time before he went to work in China. He has a solid 72′ narrowboat which he often takes out single handed. A couple of years ago he experimented with the use of his leg as a fender. The experiment wasn’t very successful. On a windy day he was moored next to a towpath when he noticed a fully laden working narrowboat drifting sideways across the canal towards his pride and joy. He instinctively, and rather foolishly, thrust out a leg to fend off the approaching twenty tonne boat. Just before the two heavy boats made contact, he slipped off the gunnel and into the gap between the combined forty tonnes of unyielding metal. He successfully protected his paintwork but the damage from the impact caused considerable bruising and swelling and a very interesting technique for getting on and off his boat for a month and a half afterwards. At least he could get on and off his boat afterwards. The lady owner of narrowboat Saphire moored on the same pontoon as me suffered a more inconvenient injury to her leg a couple of years ago. She was about to step from the algae covered wooden pier onto the boat’s front deck when her foot slipped off the pier into the gap between the pier and her boat. Her body fell forward into the boat while her leg remained upright… until it snapped. The ankle to thigh cast meant that she simply couldn’t get on or off the boat until the cast was removed six weeks later. Fortunately she didn’t live on board. I’m not trying to dredge up every unpleasant incident I can remember in an attempt to put you off boating. However, I think it’s important to realise just how easily accidents can happen if you drop your guard. I climb in and out and on and off boats regularly during my working day. I’ve fallen in the marina twice and the canal at our wharf once since I’ve worked here. All of my involuntary baths could have been avoided. The most spectacular was undoubtedly the first time. The accident was on dank and rather chilly day in December just three months after I started working at Calcutt Boats. I was pulling a boat closer to the slipway using the centre line, leaning backwards pulling with all my might to demonstrate to my new work colleagues just how strong I was. Unfortunately all I succeeded in doing was demonstrating just how stupid I was when I somersaulted backwards through the marina’s thin ice and into the dirty water beneath. When those present stopped laughing, they suggested that I should return to my boat for a hot shower and a change of clothes. The incident taught be a valuable lesson; when hauling on a rope, I should always brace myself so that if a rope snaps or comes undone, I will not lose my balance. Ropes have come undone on two subsequent occasions but because I was standing correctly I stayed on my feet. I was fortunate on the day of my very cold dip that the space I fell backwards into didn’t contain anything other than water. If I had fallen over the front of a moored boat into the well deck for example, I would have needed more than a quick shower to make me feel better. Most of my slips, trips and falls were when I was new to boating. I see many new boaters every day, and some of the things they do terrify me. Because we have our own fleet of hire boats, and because we have three other narrowboat hire companies close by, we see many holiday boaters negotiating a lock for the first time. Our wharf is between two locks so as part of our instruction, we take them through a lock and show them what to do, and what not to do. Other hire companies are not so conveniently located so they cover lock operation either DVDs sent with booking confirmation, or by using models of locks at their base. Of course, by the time the happy hirers reach their first lock they have forgotten most of the information about its operation. Locks are exciting places for children. Locks offer them the perfect opportunity to display their agility by jumping between the lock side and the boat’s roof. Both are often extremely slippery either because of rain or early morning dew. I have seen many children fall. Fortunately they’ve only fallen onto the boat roof and not off the roof into the lock and fortunately, because they are young and fit, they tend not to hurt themselves. The raising and lowering of the lock paddles is another opportunity for fledgling boaters to hurt themselves, or to hurt those around them. It’s not unusual to work a lock in the rain. The metal windlass handle is slippery when wet. If the windlass slips out of a wet and cold hand when the paddle is raised, the weight of the paddle will cause the windlass to spin like a propeller. The temptation is to try and catch the handle to arrest the paddle’s fall. The result is usually a severely bruised forearm. A rapidly spinning windlass, if left to its own devices, will often fly off the paddle with some speed either flying into the water or into a novice boater standing in the line of fire. We always advise our hirers to (A) refrain from grabbing at a spinning windlass and stand back and (B) ensure that any spectators stand away from the paddle. Gunnel walking is another source of joy and excitement for boaters. Most gunnels are safe to walk on with care. Mine are not particularly safe. They were originally five inches wide but when I had the cabin over plated the width was reduced to three inches which doesn’t leave much to stand on. Even if the gunnels are wide enough, they can become very difficult to walk along when wet in the warmer months and when icy in the winter. I have seen several experienced boaters slip off their boat’s gunnel into the murky water beneath. One boater did it so often that when his wife, who was steering at the time, heard a splash coming from somewhere in front of her, she looked skywards and shrieked “NOT A-BLOODY-GAIN! !” In the meantime her accident prone husband calmly stood in the mud chest high in brown water, calmly trying to polish his misty glasses. I don’t fall of gunnels these days. I have invented my own gunnel shuffle. Rather than step along the gunnel trapping ice or water between the sole of my shoe and the metal underneath, I slide my feet along to dislodge the liquid and to give my feet a better grip. At the same time I ensure that I always have an elbow hooked over the roof rail so that if one or even both feet slip off the gunnel there’s still part of me secured to the boat. There’s one final potential hazard you need to be aware of; your rope handling. You need to be especially careful when trying to secure your boat, either at a lock or on a mooring, when the wind is blowing. Often, if a wind is pushing the boat away from you, you’ll haul on one of the three lines with all your might to bring the boat close to the side before frantically throwing a loop of rope around a bollard. Make sure you don’t catch a finger or hand in the rope loop before the wind pulls the rope immovably taught again. The rope, with the weight of the boat behind it, can easily remove the skin from your fingers. Trapping your hand in a taught rope loop could prove especially difficult to escape from if you were on your own. I always carry a Leatherman multi tool with me in a belt pouch. I use it regularly throughout the day when I’m working and very often when I’m cruising too. Once again, I don’t want to put you off boating. It’s a wonderful leisure activity and a hugely enjoyable lifestyle. The more you know about the dangers you face, the better prepared you are to prevent accidents from happening. I hope you’re a little better prepared now than you were at the beginning of this article. I wish you happy, and safe, boating. I had an email at the beginning of last week from television company researcher Gemma Singleton. She wants to talk to you if you live on board and have an interesting story to tell. Given that every live aboard boater I’ve ever spoken to has an interesting story to tell, she’s going to be spoilt for choice. If you want to find out more about her project, here’s a post she’s added to the forum. You may have heard about the Pillings Lock Marina dispute. It was widely covered by the waterways press and concerned the payments the marina was obliged to make to CART under the Network Access Agreement. The ongoing dispute resulted in a standoff and threats by the Trust to blockade the marina entrance. Fortunately for all, the dispute was resolved about a month ago. Now it’s business as usual, which is good news for you if you’re looking for a residential mooring. They have plenty. The marina is located between Leicester and Loughborough on the Grand Union close to the junction with the river Soar. Their website is here. There’s plenty of information on it, including rates and rules and regulations. Please note, live aboard boat owners aren’t allowed cats on board. I quite like cats. I just couldn’t eat a whole one. Richard Varnes, the narrowboating American, is back with his tales from the towpath. Richard doesn’t write about the waterways he cruises along, he shares his thoughts about the people he meets on his travels. Here’s one about a warm and friendly tea shop just twenty minute’s walk from Mercia marina. Here’s his article.